1 Runway 08/26 All traffic. 2 Runway 09/27 Light traffic only. Punta Cana International Airport (IATA: PUJ, ICAO: MDPC) is a privately owned commercial airport in Punta Cana, eastern Dominican Republic. The airport is built in a traditional Dominican style with open-air terminals with their roofs covered in palm fronds. Grupo PuntaCana built the airport, which was designed by architect Oscar Imbert, and inaugurated it in December 1983. 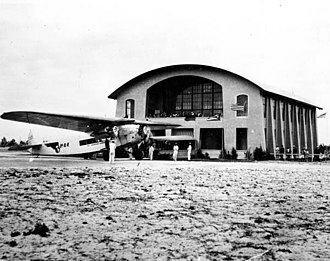 It became the first privately owned international airport in the world. A number of scheduled and charter airlines fly to Punta Cana; more than 6.3 million passengers (arrivals and departures combined) pass through the terminals, moved by almost 60,000 commercial aircraft operations. The operators of the airport, Corporación Aeroportuaria del Este, S.A. (a private corporation run by Puntacana Resort and Club), expanded the facility in November 2011 with a new runway and air traffic control tower designed to support the robust growth of travel to the region. In 2014, the airport accounted for 60% of all air arrivals in the Dominican Republic. The history of aviation in the Punta Cana region started in 1971, when Grupo PuntaCana built its first hotel and a small airstrip where aircraft could land. 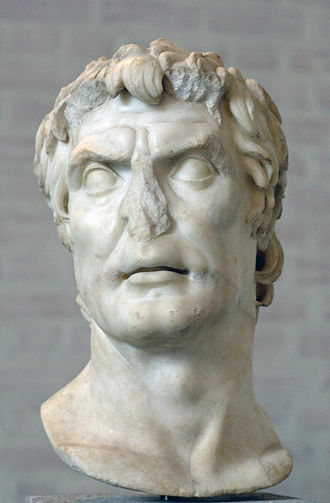 There were no terminals and no runway; it was just a flat piece of land. 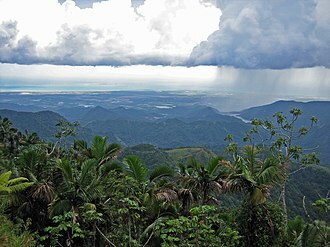 The only problem was that the area was very secluded from the rest of the Dominican Republic. Also, many more people were starting to go to Punta Cana for vacation, with more and more small cabins being built. Since there were no roads nor harbors, the only way to get into Punta Cana was by air. In the late 1970s a road was built, to connect the area with the capital of that province, Higüey. Tourists from various countries started to come in. 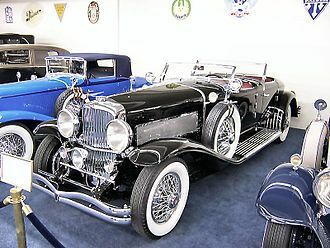 They had to pass through Las Américas International Airport in Santo Domingo, then take a short flight in a single-engine plane to Punta Cana. The airstrip itself had significant problems, such as having a very short runway and still no terminal. 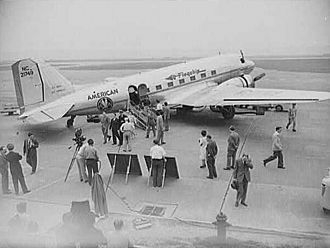 This meant passengers would exit their plane and be directed onto a road to be picked up to ride to their hotel, which was inconvenient. Grupo PuntaCana knew it needed a real airport. 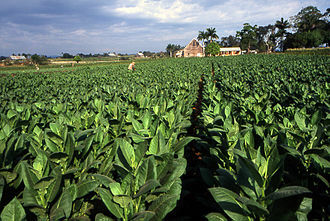 In late 1974, Grupo PuntaCana started to plan the first private international airport. However, the local government disapproved of the new airport. After eight full years of arguing with the province, a contract was made to begin construction on the new airport. The airport would be built where the old airstrip stood. In early 1981 planning started on the airport. 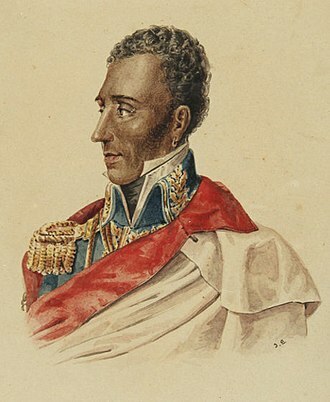 Oscar Imbert (son of General Antonio Imbert) was chosen as architect. He wanted the terminal architecture to be based on Native American Tainos and Arawak structures. At the same time, he wanted to give the passengers a paradise feeling. The problem was that the planners did not want to pay for expensive air conditioning. 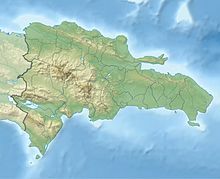 The solution to this problem was to build the terminal in such a way that the coastal breezes from the Caribbean Sea would come in and cool down the passengers. The terminal building was planned to have fronds of cane palms of the roof, and for the walls, stone from the nearby jungles. For the columns, they would use eucalyptus logs. Construction on the new airport started in early 1982, and the small airstrip had to close down. To substitute for the loss, a small concrete airstrip was made into a temporary airport. This strip would turn into a runway when the airport opened. Since the terminal was small and there was not a lot of construction needed, the terminal was completed in under four months. The runway and tarmac took a long time since there were not many construction workers building the airport. The area was secluded, which dissuaded many construction workers from trying to build the airport. However, after eight years of persuading the government, and two more years of construction, the airport began operations on December 17, 1983. The airport started out with a 5,000 feet (1,500 m) runway, which could fit larger propeller planes. The building was 300 square metres (3,200 sq ft) in area, and could assist 150 passengers every hour and a half. The small control tower began to be used. In January 1984, Punta Cana had its first international flight from San Juan, Puerto Rico operated by the Puerto Rican airline, Prinair. The aircraft was a small double turbo propeller aircraft with 20 passengers. In 1984, the airport received 2,976 passengers. With a proper airport, many new hotels were built. However, now that there were more hotels, more people wanted to fly to Punta Cana. There was an increased demand to bring jet aircraft to Punta Cana. This led to the airport's first expansion in 1987. The runway was expanded to 7,500 feet (2,300 m), along with a small expansion of the terminal. 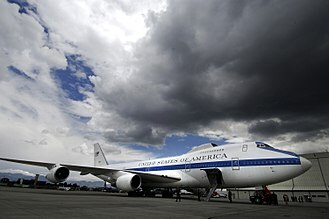 The tarmac was expanded to accommodate jet aircraft. The terminal was renovated and more check-in stands were built. This expansion allowed many more aircraft to land at the airport. The small control tower was also renovated, with new radar systems added. However, large jet aircraft did not fly to Punta Cana until the early 1990s. During this time, new airlines from around the Caribbean started to fly here. The second expansion was added in 1988, in which a new taxiway was added so it could be easier to get off the runway and onto the tarmac. 1989 was also when the first private jets started to fly to the airport. There were only about four airlines in 1988. All of these small airlines were regional, coming from different parts of the Caribbean. Towards the end of 1989, another expansion started to expand the runway to 10,171 feet (3,100 m). This expansion was completed in late 1990. The 1990s brought a major change to the airport. Now that the runway was 10,171 feet (3,100 m), long-haul jets could fly there. 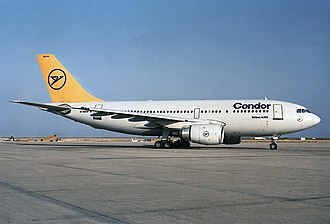 In late 1992, the German airline Condor Flugdienst acquired several new Boeing 767s. 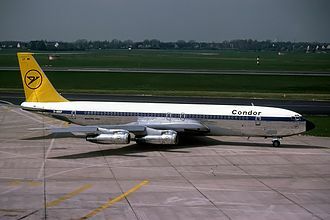 During this time, Condor was expanding rapidly. One of its new destinations was Punta Cana. The planes would fly from Frankfurt on a 10-hour flight. This became the first route from Europe, and the first long-haul route in the airport's history. Around the same time, LTU International started a route from Berlin. Also, many airlines around the Caribbean stopped operations to the airport, since now there were long-haul flights. In 1993, the airline Hapag-Lloyd Flug began a route from Düsseldorf. Air Transat began a route from Montréal, which became the first route from Canada. 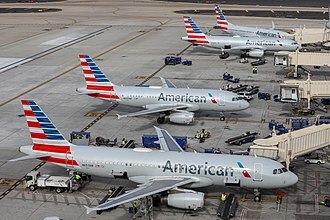 In 1994, American Airlines started operations to Miami International Airport. 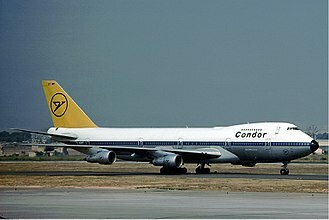 The same year, Lauda Air began operations from Vienna. The Dutch wanted a route to Punta Cana, so in January 1995, Martinair began operations from Amsterdam Schiphol. 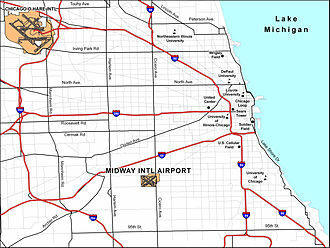 ATA Airlines started to fly to Midway International Airport in early 1996. In October 1996, the Chilean airline Lan Chile began to fly 767s from Bogota and Santiago. Over time, more airlines from Europe, Canada, and the US began operations to Punta Cana. In 1997, three more airlines were added. There was increasing demand for an expansion, as the tarmac was not big enough to fit all of the new jet aircraft. This was becoming a major problem, as new airlines could not introduce new routes unless the airport expanded. In 1998, two new airlines began operations. Towards the end of 1998, the tarmac was extremely busy and dangerous, since the aircraft had to taxi on the runway itself, turn, and then take off. There was a high risk of a collision on the runway if two planes were on it at the same time. Sometimes the narrow taxiways were so full, some airplanes had to wait 20 minutes before beginning to taxi to the runway. 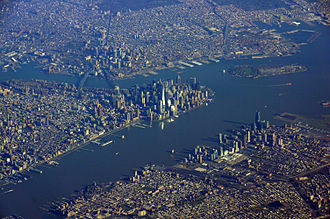 During 1999, only one airline started to fly there, because the small airport was too crowded. As the number of passengers grew, Grupo PuntaCana began to plan a massive expansion. 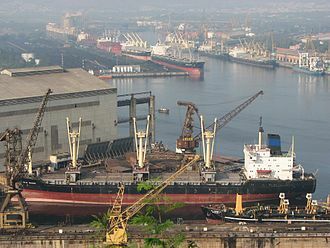 The expansion began in late 1999 and ended in late 2000. In 2000, there was a major expansion: the terminal was expanded twice its original size to 600 square metres (6,500 sq ft) and was renovated again. There was a long taxiway added to prevent a collision on the runway, and the tarmac was expanded and renovated to fit six aircraft. This expansion was completed in 2001. By then one more airline was added, and by 2001, two more. During this time, Punta Cana was changing; malls and roads were being built, along with brand new hotels. Now, many people were flying to Punta Cana, and once again the airport was crowded by 2002. A new parking lot was built along with the new Punta Cana Village. That year, no new airlines flew there. By 2003, there was a small expansion of the terminal and the tarmac was expanded to allow seven passenger airplanes to park at the airport. This was also the year the Grupo Puntacana had begun the planning of a second runway. In 2004, there was a second expansion on the tarmac to allow many more aircraft to fly there. This was also when older airlines started to cease operations to the airport. By 2005, only 15 airlines flew to the airport. That same year, the construction of a second runway was approved, and planning on the runway started. 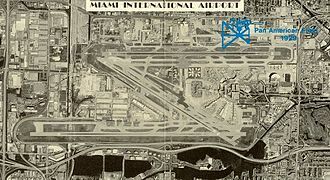 The airport has five terminals: International Terminals A and B for international passenger travel; FBO Terminal, located west of terminal B, for executive general aviation, both national and international; National Terminal, located east of the FBO terminal, for national charter and general aviation; and VIP Terminal, located east of Terminal A, a private terminal including an aircraft parking apron. Punta Cana International Airport serves 96 cities in 28 countries. Terminal B was built to hold larger aircraft like the Airbus A380 along with seven airbridges, one being for the Airbus A380. This new terminal was completed in 2014 and can comfortably accommodate 6,500 travelers daily and over 2 million travelers annually. 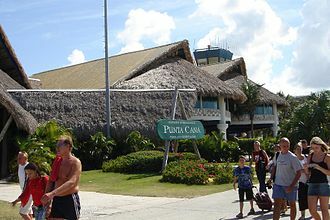 Punta Cana's airport operators completed an airport expansion project in November 2011, which included a new runway and a control tower equipped with modern radio and air traffic control equipment. There is also a new Terminal Approach Radar Control facility and a new Automated Weather Observation Station (AWOS). This new facility provides a back-up to the National Radar System located in Santo Domingo. A second international terminal which opened in 2014 is designed to accommodate about 6,500 passengers daily. The operators plan to open a third terminal and renovate runway 09/27 while also constructing a cargo terminal. Plans were underway for a U.S. Customs and Border Protection preclearance station to be opened at the airport by the end of summer 2009; however, this has not yet begun. 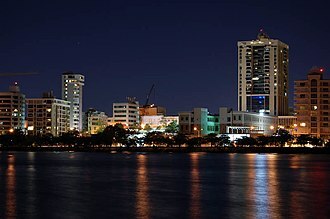 According to Frank Rainieri, president of Grupo Puntacana, negotiations have re-opened (as of June 2015) and he anticipates that this airport will be the first in Latin America (not including those in Puerto Rico, which is considered part of Latin America but is a U.S. territory) to offer such preclearance service. On October 13, 2014, the engine of a Jetstream Bae 32 aircraft belonging to Air Century Airlines caught fire while landing after a charter flight from Luis Munoz Marin International Airport in San Juan, Puerto Rico. 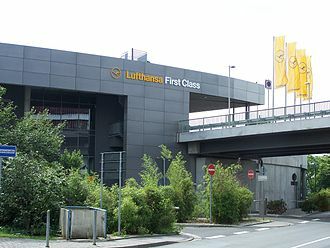 The airplane crew declared an emergency and landed the aircraft at 20:45 local time, after a 49-minute flight, but the plane was destroyed in a subsequent fire. There were no injuries among the 13 passengers and two crew members. On February 10, 2016, Orenair flight 554 to Moscow Domodedovo Airport reported an engine fire and smoke in the cabin. The crew decided to turn around and land the aircraft, without dumping fuel, rather circling around the airport. Upon landing the overweight aircraft, the landing gear overheated and caught fire, and the aircraft was evacuated. There were no injuries among the 371 occupants of the Boeing 777 and it remained grounded at the airport for 10 months, leaving in December 2016. 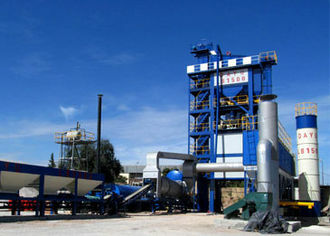 ^ "Grupo PuntaCana". GrupoPuntaCana.com.do. Retrieved 4 June 2017. ^ "– Airport Information". Puntacanainternationalairport.com. ^ a b Major, Brian (22 January 2015). "North Americans Drove Dominican Republic's Record 2014 Tourism Growth". travAlliancemedia. Retrieved 23 January 2015. ^ Airport, Punta Cana International. "The Official Website of Punta Cana International AirportDominican Republic flights to Punta Cana International Airport". www.PuntaCanaInternationalAirport.com. Retrieved 4 June 2017. ^ "PUJ is ready to inaugurate modern, convenient air travel with Terminal B". Puntacana Blogs. Retrieved 4 June 2017. ^ "Bavaro News; Year X; edition 287; page 4". Archived from the original on 30 March 2016. Retrieved 9 September 2018. 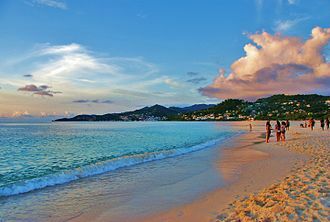 ^ Finnair opens new routes to Sapporo and Punta Cana for winter 2019/2020 news.cision 14 Jan 2019. Retrienved 14 Jan 2019. ^ "Sunwing returns to Sept-Îles for 10th season and increases flight services for this coming winter" (Press release). Sunwing Vacations Inc. July 26, 2018. Retrieved August 16, 2018. ^ "Sunwing expands services from Thunder Bay; adds direct flights to Punta Cana for the first time" (Press release). Sunwing Vacations Inc. July 31, 2018. Retrieved August 16, 2018. ^ a b c d "air and charter tickets". itaka.pl. Retrieved 4 September 2018. ^ "Statistical Report on Air Transportation in Dominican Republic 2016" (PDF). ^ "Se incendia avión que despegó desde San Juan". El Nuevo Dia. Retrieved 4 October 2015. ^ "Incident: Orenair B772 at Punta Cana on Feb 10th 2016, engine shut down in flight, burst tyre and smoke on landing". The Aviation Herald. Retrieved 13 February 2019. Airport information for MDPC at World Aero Data. Data current as of October 2006. Their first project was a 40 guest hotel called the Punta Cana Club. In 1979, they constructed The Puntacana Hotel and the Punta Cana International Airport followed in 1984, in 2000, the first of the residential community developments began and six years Tortuga Bay opened, a boutique hotel designed by fashion designer Oscar de la Renta. 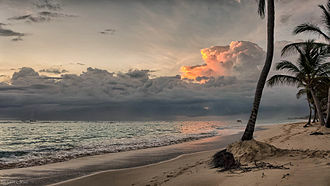 Puntacana Resort & Club has since grown to encompass over 15,000 acres and has served such guests as Henry Kissinger, Charlize Theron, Gabriel Byrne, Corporate environmental and social responsibilities and policies have been pursued since the resort was built. The Puntacana Hotel, Initially a hotel property with 10 two-room villas in 1971, six Senses Spa, The spa has eight indoor private treatment rooms, four outdoors palapas overlooking the beach and a staff from around the world. Some spa treatments include local medicinal plants, real Estate, The resorts five private residential communities, known collectively as The Estates, are Tortuga, Arrecife, La Marina and Corales. Corales residents include Julio Iglesias and Mikhail Baryshnikov, The resort has two golf courses, P. B. Dyes 27-hole La Cana and its additional 9-hole course located in the Hacienda community, one of the Puntacana Foundation’s Social Projects current areas of action is with the Ann & Ted Kheel Polytechnic School in Verón. The school is said to be a contribution to the development of the Eastern region. ”The Puntacana International School in Punta Cana- a modern, private school for Puntacana Resort. The Clinic has a laboratory, examination rooms, a machine, an ambulance. The Puntacana Ecological Foundation, focused on the protection and preservation of the natural flora, the Ecology’s research and education facility- the “Center for Sustainability”- was established in 1999 and focuses on the creation of solutions to environmental challenges related to local tourism. 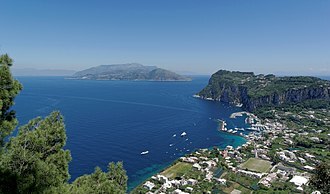 The Center has laboratories and classrooms, offices, a library, conservation practices of endangered species such as the endemic Ridgways Hawk and the Hawksbill Turtle include extensive monitoring and habitat protection. El Dorado International Airport is an international airport located in Bogotá, Colombia. It is ranked among the worlds 50 busiest airports in terms of, passenger traffic and it is managed by Operadora Aeroportuaria Internacional, a consortium composed of Colombian construction and engineering firms and the Swiss company Flughafen Zürich AG. El Dorado is the most important airport in Colombia, accounting for 49% of the air traffic in the country. It handles all domestic and international flights into Bogotá, El Dorado is located about 15 kilometres west of the city center, Avenida El Dorado provides passengers access to downtown. Regular buses, known as feeders, transport users from the airport to Portal Eldorado, the airport has been named the best airport in South America by World Airport Awards. El Dorado received four-star certification and its staff was rated the best in South America by Skytrax, El Dorado Passenger Terminal was designed during the government of General Gustavo Rojas Pinilla. 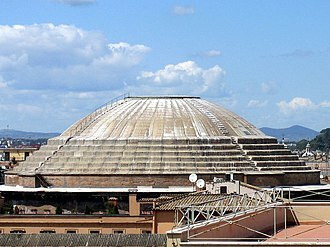 Its construction began in 1955 and entered in service at the end of 1959, replacing the interim terminal, the new terminal consisted of several taxiways, maintenance platforms, parking areas, a cellar, passenger halls, Mezzanine areas and other amenities. Its second floor consisted of the area with executive waiting rooms. The third floor consisted mainly of offices for the airlines and of other related services. 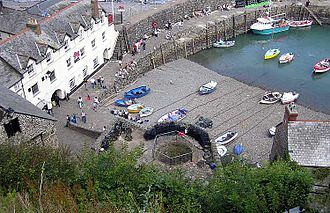 The fourth floor held the offices and its dependencies which accounted through to the fifth floor. 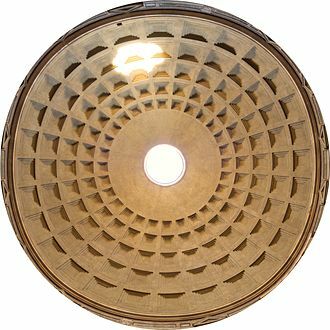 The sixth floor contained mainly the dependencies of meteorology and power station of air navigation aids of the ECA, the seventh floor held the route control facilities for the runways and taxiways and the eighth floor contained air traffic radar controllers. The ninth floor contained the airports electrical maintenance and offices, in 1973, the airport accomplished a milestone by serving nearly three million passengers and processing nearly 5 million units of luggage. That year turned out to be one of the most prosperous for the industry of aviation, it became necessary for a second runway at El Dorado with concerns that the explosive growth would lead to over congestion in the future. The Boeing 767 is a mid- to large-size, long-range, wide-body twin-engine jet airliner built by Boeing Commercial Airplanes. 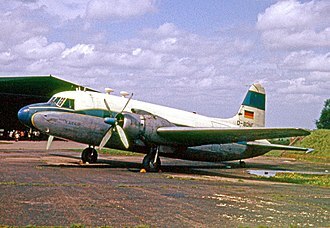 It was Boeings first wide-body twinjet and its first airliner with a glass cockpit. The aircraft has two engines, a conventional tail, for reduced aerodynamic drag, a supercritical wing design. 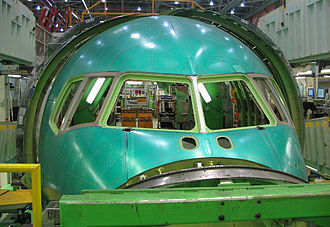 Development of the 767 occurred in tandem with a narrow-body twinjet, the 767 is produced in three fuselage lengths. 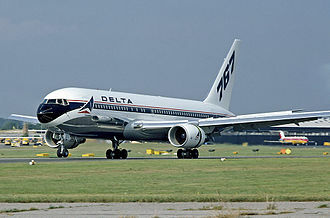 The original 767-200 entered service in 1982, followed by the 767-300 in 1986 and the 767-400ER, the extended-range 767-200ER and 767-300ER models entered service in 1984 and 1988, while a production freighter version, the 767-300F, debuted in 1995. Engines featured on the 767 include the General Electric CF6, Pratt & Whitney JT9D and PW4000, United Airlines first placed the 767 in commercial service in 1982. 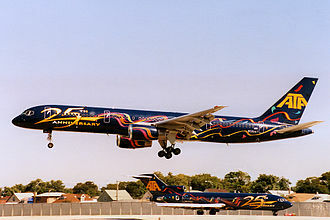 The aircraft was flown on domestic and transcontinental routes, during which it demonstrated the reliability of its twinjet design. In 1985, the 767 became the first twin-engined airliner to receive approval for extended overseas flights. The aircraft was used to expand non-stop service on medium- to long-haul intercontinental routes. In 1986, Boeing initiated studies for a higher-capacity 767, ultimately leading to the development of the 777, in the 1990s, the 767 became the most frequently used airliner for transatlantic flights between North America and Europe. The 767 is the first twinjet wide-body type to reach 1,000 aircraft delivered, as of February 2017, Boeing has received 1,204 orders for the 767 from 74 customers,1,097 have been delivered. A total of 742 of these aircraft were in service in July 2016, competitors have included the Airbus A300, A310, and A330-200, while a successor, the 787 Dreamliner, entered service in October 2011. Despite this, the 767 still remains in production, in 1970, Boeings 747 became the first wide-body jetliner to enter service. The 747 was the first passenger jet that was enough to feature a twin-aisle cabin. Two years later, the manufacturer began a development study, code-named 7X7, for a new wide-body aircraft intended to replace the 707 and other early generation narrow-body jets. Refurbished de Havilland DH.104 Dove in historic livery celebrating LTU's 50th anniversary at Mönchengladbach Airport. Lockheed L-1011-100 TriStar D-AERN in typical red roof livery taking off at home base Düsseldorf Airport. Interior design of LTU's Lockheed TriStar.